Brad Cranmer is a family and criminal defense attorney and a Baton Rouge native who has represented clients across Louisiana. Contact Brad Cranmer for assistance. Brad, a Baton Rouge native, opened his own law practice right out of law school. His practice revolved around fighting for his clients’ rights. He also spent several years as a Prosecutor for the City of Baton Rouge protecting the public’s interests. Brad is used to fighting for clients and victims! Brad has spent countless hours in court arguing in front of judges and juries for his clients. His job as a prosecutor allowed him to be in the courtroom daily. He has prosecuted cases ranging from D.W.I. to Domestic Abuse Battery securing numerous convictions. Brad’s not afraid to fight for his clients. In 2017, Brad received Avvo’s “Clients’ Choice Award” for his dedicated and relentless legal service that he provides to his client. He has also received awards from the “Expert Network” as a Distinguished Lawyer, “American Law Society’s America’s Top Lawyers 2018”, and the “American Institute of Personal Injury Attorneys 10 Best Attorney Client Satisfaction” award for 2017. Brad attended Louisiana State University for his bachelor’s degree in Political Science with a minor in Criminology. Brad has been involved with multiple organizations throughout college and graduate school. 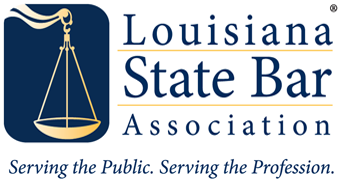 These include Sigma Phi Epsilon Fraternity, Boys Hope/Girls Hope, founding member of the LSU Law Running Club, and Louisiana Association of Criminal Defense Lawyers.